When it comes to designing custom lockers for a business, there’s a world of options from which to choose. The right contractor will offer a variety of standard and premium options for custom locker configurations, materials, hardware, locking mechanisms and delivery, all important factors in designing custom lockers that will stand the test of time and provide the needed functionality and durability. There is no need to choose between functional and stylish when it comes to designing custom lockers for your business—not when you choose a contractor that gives you options. Where will the lockers be located? Location matters when designing custom lockers. If you are designing lockers for an employee locker room in a hospital, you can choose from materials like melamine, wood, veneer, or metal without much concern. On the other hand, if the custom lockers will be used in a locker room or other area where there is a lot of moisture in the air, your choice of materials may be somewhat limited. Location of the lockers affects many aspects of design. What is the intended use? Will your custom lockers be used by the general public to keep personal effects throughout the day, or will the lockers be assigned to individuals as part of a membership to a club or a spa? Your locker configuration—how the custom lockers are arranged—depends a lot on how they will be used. The type of locking mechanism is another important factor to consider that will be determined by the intended use. Who will use these custom lockers? Elite golf club members will expect that the lockers available at their country club are made of the highest quality materials available – exotic woods with glossy finishes and special combination lockers. High school football teams, in contrast, might just need a place to sit down, put away their helmets and pads, and have a change of clothes available. In those cases, standard lockers with less complex locks may be all that’s needed. Anticipating your clientele’s needs will help you come up with a design that fits their needs and budget. What is the budget? Speaking of budget, depending on the materials, hardware, installation and application, a custom locker design can be pricey. The right contractor will give you a variety of locker construction choices to suit your needs that will be cost-effective as well. Considering these factors can give you a better sense of what your company needs, and whether designing custom lockers for your company is the right investment of time and resources for you. Legacy Lockers is a premier builder of custom lockers, offering a variety of designs for every setting. Every aspect of your designed custom lockers is made from the highest quality materials available, in a variety of colors, styles, finishes, and builds. Get started on your locker design today. 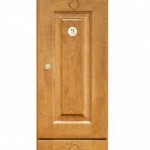 To custom design your own lockers, visit www.legacylockers.com or call 866-291-3395.